This page shows various granite types that are widely used today, many of which are world wide. Designs in granite I can sand blast to the customer’s requirements either in a shading effect or to be coloured. My daughter, a talented artist, sometimes works along side me pictured here. Examples of her artwork in granite can be seen throughout my website. 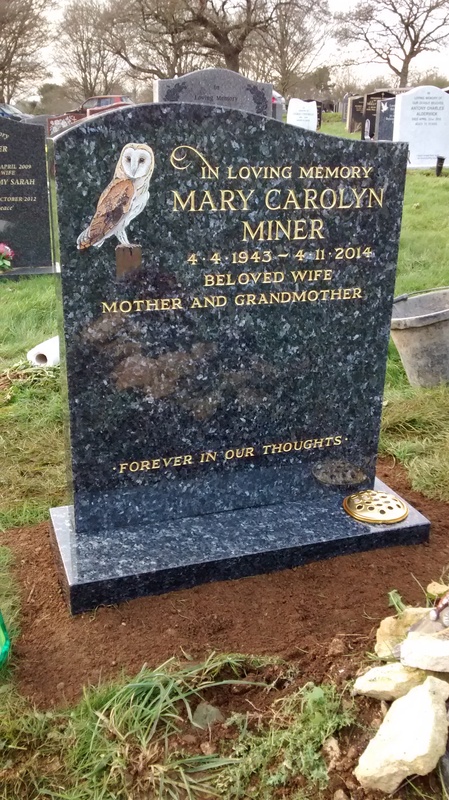 A blue Pearl granite lawn headstone with owl design sand blasted and painted with hand carved and gilded inscription. 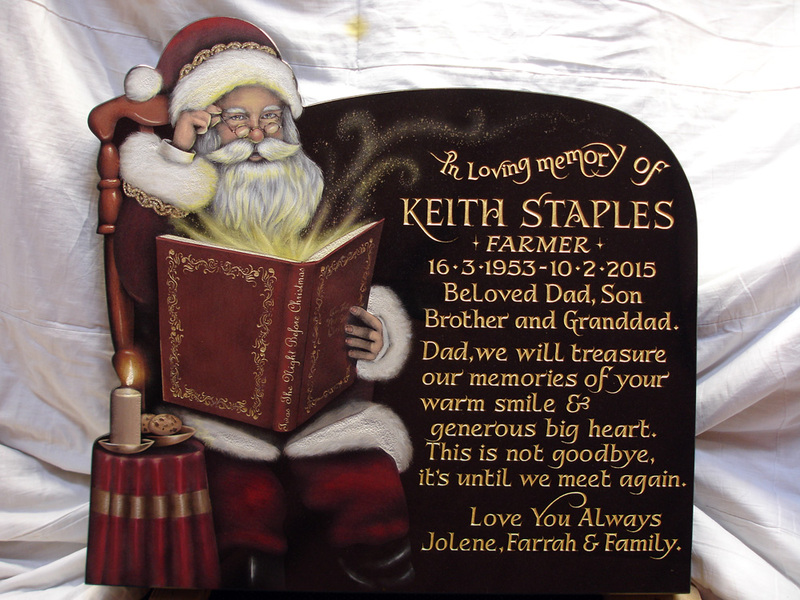 A classical design of father Christmas created as a tribute to a beloved father who held Christmas so dear to heart. 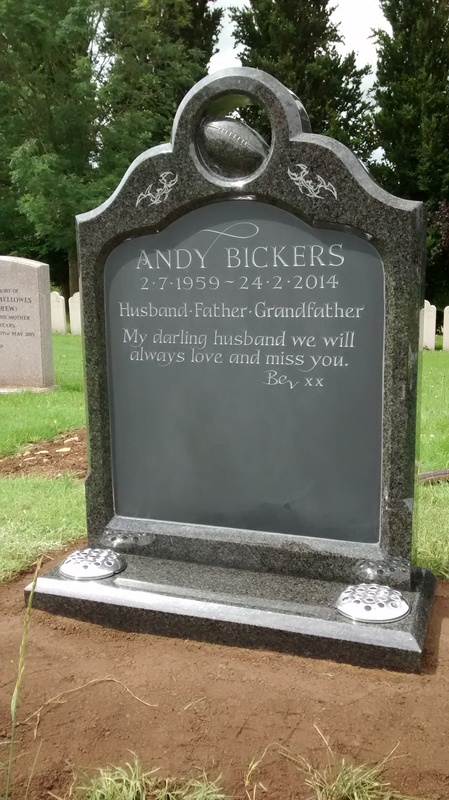 A South African dark grey granite headstone with a Welsh slate plaque in set from the face and hand lettered.